yes, yes children…lots of time since the last post. I decided to experience life in a parallel universe where time moves SLOOOOOOWLY! Nah, just kidding. Ha ha ha! The Klann Lab attended Society for Neuroscience meeting at Washington D.C. Thu presented her work in a stupendous talk at the Molecular and Cellular Cognition Meeting which is held as a satellite meeting before SfN. Emanuela present her impressive work in a symposium on Fragile X syndrome at the main meeting. GREAT GOING LADIES! Aditi welcomed her first baby in fall. Mom and baby are flourishing. 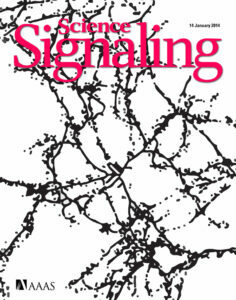 Emanuela and Eric’s review in Science Signaling was published in October. Kudos! Heather’s collaborative proteomics paper appeared in J Proteome Res. This well written paper lists the foundational work for cutting edge technique that Heather and Aditi has been working on. Aditi’s co-first author paper on using patient fibroblasts for Fragile X Syndrome appeared in Human Mutation. This paper was appreciated by the community in general with a comment and a featured article status in the journal. BRAVA! Tao set off on his own lab journey as a faculty at Wake Forest University. We have no doubts he will continue to contribute substantially to the AD field. More on what Tao is upto can be found here. We had pints of new blood injected into our bloodstream courtesy Prerana Shrestha, Sameer Aryal and Anna Vorobyeva. WELCOME! Eric, alongwith Joel Richter (UMass) and Gary Bassell (Emory) bagged the awesomely competitive and prestigious center grant for research on fragile X syndrome. More details on the Center for Collaborative Research on Fragile X Syndrome (CCRF) is available at its dedicated website, that is under construction. The award also attracted some press…most naturally. Aditi chaired the Gordon Research Seminar for Fragile X and other Autism-related disorders. This is a serious matter since chairs of GRS and GRC are elected and a nod to their standing in the community. Andrew and Mihwa’s great paper on sleep, protein synthesis and memory was accepted in summer. It was published in October and lays the foundation for other exciting projects that this duo is doing. Thu’s paper on Requirement of mTORC1 effectors in cued fear memory reconsolidation and its persistence, was published in Journal of Neuroscience in July. This article quickly became the most downloaded paper at the journal website. Many Congratulations! Finally, Eric was awarded the the Javits Neuroscience Investigator Award from the National Institute of Neurological Disorders and Stroke (NINDS) recognizing his many major contributions to Neuroscience. We solemnly bow to our fearless leader and hope he continues to make us proud. Now that I can confirm (with my most awesome doggy senses) that spring is here, it is time to report some developments…. Emanuela and Thu’s comprehensively worked book chapter is out which deals with mechanisms of translation control in long-lasting synaptic plasticity and consolidation of memory. Brava! Well written and though out, and will soon become required reading for most in the field. Emanuela also has another BIG feather in her glamorous cap…she is also bagged the prestigious and very high-profile K99/R00 award. This makes it the second goal (yes, we love soccer!) for the Klann lab and we are totally sure that Ema will go on to achieve more spectacular feats like this. Congratulations! 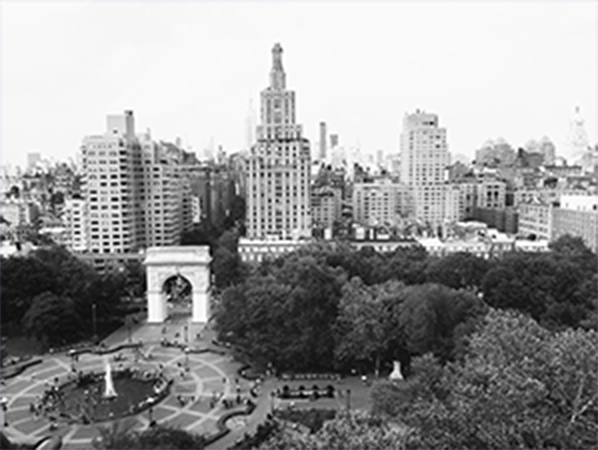 On the topic of awards… four of our talented undergraduates have bagged the NYU DURF fellowship…a big shout-out for Sudeep Pisipaty, Barkha Rana, Rosie Koo and Manan Shah. Well done and we hope to hear of all the awesome experiments you guys will be doing with the fellowship. The Klann lab graduated one of their favorite PhD students..Heather Bowling on May 2nd, 2014. Heather showcased her metamorphosis over her PhD years in a wonderfully polished and comprehensive talk. Congratulations Dr. Bowling! Mimi, Tao, Hanoch and Aditi’s paper on the involvement of eIF2alpha kinase PERK in metabotropic glutamate LTD was published in Learning and Memory. Kudos! Klann lab has a new member. Please welcome Kathryn (KC) Schierberl. KC comes to us from the Rajadhyaksha Lab at Weill Cornell and will study striatal dysfunction in Fragile X.
Heather, Aditi and Chuck’s paper on mTORC signaling as a mode of action for Haloperidol was published in Science Signaling. We all were very happy to learn that this solid work also earned the cover that issue of the journal. Check this out…. The paper also has a podcast with Eric and Moses Chao on the Sci Signal website that can be found here. It’s been picked up by a number of news agencies like ScienceNews and others. No we just did not say farewell 2013 and get done with it. Eric was named an American Association for the Advancement of Science (AAAS) Fellow for 2013. Now that is a nice way to round off a most productive year. Fall not only brought in respite from sweaty clothes, but also new people in the lab. Klann Lab welcomes Kathryn Turner (KT) as are new post-doc on the block. KT comes from University of Alabama, Birmingham and will be working on reversing oxidative stress phenotype in Angelman’s Syndrome model mice. Klann lab bid adieu to Milad who successfully finished his master’s degree at NYU and has joined Rutgers University for his PhD. He wish him the very best in his future endeavors! Tao bagged the very prestigious and seldom achieved K99/R00 award. We are super super happy about this development and expect many more such feats from Tao. Aditi and Eric attended the FRAXA Investigators meeting 2013 at Southbridge. Klann lab attends SfN 2013 at San Diego. Hope to see a lot of familiar faces and great science there. 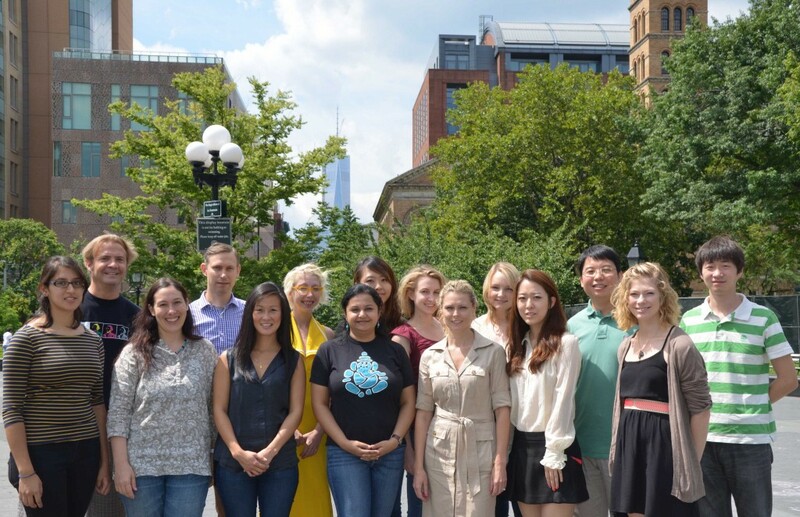 lots happening this summer for the Klann Lab…and it’s not over yet! Our talented undergrads graduated from NYU and are currently pursuing careers in medicine and science. We wish them well. Hanoch, Akila and Emanuela’s Na/K ATPase paper was accepted in Cell Reports. Kudos to all of them! A press release from NYU relating to the study can be found here and the study has already been picked up by science and health related newfeeds like health canal. We are proud and are certain that more coverage is soon to follow. Tao’s and Mimi’s paper on the rescue of Alzhemier’s phenotypes by modulating eIF2alpha kinase was published in Nature Neuroscience. It’s mammoth scope and awesome results are no doubt going to be a seminal contribution to the field. The study can be found here. The paper has already started being covered innewstreams. Felicitations! Aditi was awarded the exclusive Charles H. Revson Senior Biomedical Fellowship. As the Revson foundationdescribes it “…offered competitively to outstanding researchers in their third or fourth years of postdoctoral studies …”. Bravo!! Akila was awarded the College of Arts and Sciences, best Neural Science Theses Prize. Akila was one of four students selected for this prize that honors senior undergrads for submitting an outstanding thesis in the Neural Science department. Bravo! Tao was awarded a prestigious research grant from the BrightFocus Foundation (formerly the American Health Assistance Foundation) to support his further studies on Alzheimer’s Disease-associated synaptic plasticity deficits. Congratulations! Eric and Jennifer Darnells’ intensely researched review on FMRP and how it regulates translation appears in print in Nature Neuroscience. Klann lab survived Nemo. Thanks for the wishes. Now if only the weather could warm up some…. We bade farewell to Kir who has decided to devote more time to running and joined Back on My Feet. We wish her the very best and hope people who read this blog will consider supporting this noble effort. we have fresh and enthusiastic young minds: welcome, Yiran Chen, Mihwa Kang, Priyanka Ramesh, Walter Voss, and Sandeep Pisipaty! The Klann lab gathered on a cold January evening to celebrate Thu’s birthday and indulge in some Karaoke. As the year winds down, the Klann lab thanks all its collaborators, affiliates and co-workers. We sincerely hope that 2013 will bring many good things for you and for us as well ! Emanuela, Thu and Hanoch’s efforts bear fruit in the current issue of Nature. A truly novel paper that already has the science world buzzing with coverage in http://www.eurekalert.org/pub_releases/2012-12/nyu-nfe122012.php, http://www.nature.com/scibx/journal/v5/n48/full/scibx.2012.1248.html, and trending videos of marble burying! No doubt more coverage will come in with the new year. Brava Ema, Thu and Hanoch!!! Eric was featured in the latest issue of InFocus- the monthly Faculty and Researcher Newsletter of the NYU Langone Center. Volume 4 issue 9, Jaci promises to post links as soon as they are available! We started November amid the aftermath of Hurricane Sandy. So thankful that no lab member was hurt. Some of us suffered greatly in those days. The lab did not suffer major set-backs, three cheers for NYU Co-Gen plant, the animal facility people for being here through the storm. Klann lab ladies hosted a baby shower for Emanuela’s impending stork visit. Emanuela and Anders welcomed Baby Santini-Borgkvist into the world. Both mother and son are doing great! Andrew bagged a prestigious endowment for his sleep project. Read all about it here: http://www.rew-online.com/2012/11/26/ngkf-boss-makes-half-million-donation-to-sleep-research/. 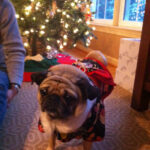 Kirsten is running the Ultra to raise money for Sandy. GO KIR!!! Eric, Aditi, Tao, Thu, Kirsten, Heather and Milad attend the Society for Neuroscience meeting at New Orleans. Eric is elected the President of the Molecular and Cellular Cognition Society. Congratulations! SCORE! three papers out this month from the lab and getting lots of coverage. The lab has cause to celebrate! Tao’s exciting GLP-1 paper gets spotlight in Journal of Neuroscience. In addition the paper is showcased at the Alzhiemer Forum blog : http://www.alzforum.org/new/detail.asp?id=3287, the Nature Science Business Exchange : http://www.nature.com/scibx/journal/v5/n41/full/scibx.2012.1090.html. More to come surely! The great paper of Emanuela, Tao and Chuck gets published in Journal of Neurophysiology. The third and not the least, Aditi’s much anticipated paper in Neuron is finally online. It has been featured in: NYU home website: http://www.nyu.edu/about/news-publications/news/2012/09/19/nyu-neuroscientists-find-promise-in-addressing-fragile-x-afflictions-.html, Simons Foundation SFARI: http://sfari.org/news-and-opinion/news/2012/researchers-uncover-new-drug-target-for-fragile-x, Nature Science Business Exchange:http://www.nature.com/scibx/journal/v5/n42/full/scibx.2012.1118.html, e! Science News: http://esciencenews.com/articles/2012/09/19/nyu.neuroscientists.find.promise.addressing.fragile.x.affliction, and several more webpages. 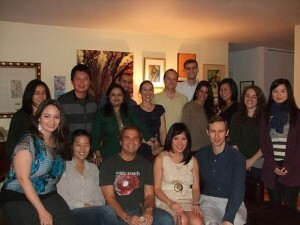 The lab settles down for a wonderful fall season. Lots of work to be done people! Eric leaves for his sabbatical to Japan. The lab will miss you! The lab welcomes Maggie Dorsey into our fold. Maggie brings her considerable experience in animal handling and management to aid our research. Aditi and Eric’s review in Learning and Memory on the molecular basis of cognitive deficits in pervasive developmental disorders appears online. Felicitations! Joey moves uptown to the Med Center to start his post-doc. Au revoir, and good luck! Nicki joins us to take over duties of Amanda. Welcome Nicki! Andrew joins our clan to start his sleep research. We are anticipating some wonderful stuff from you. Welcome! Tao attends the Alzheimer’s Association International Conference. He secured a prestigious travel grant and gave a great talk on his work. Go Tao! Amanda leave us to travel to Dallas to start her PhD. We will miss you and your Salsa moves. Good luck with your research. Aditi attends the Fragile X syndrome and related disorders Gordon conference. Mimi’s PERK -eIF2alpha-ATF4 paper is published in Cell Reports. As expected, the great work is showcased and discussed in the following articles: Science Daily: http://www.sciencedaily.com/releases/2012/05/120524122855.htm, Doug Cavener’s coverage: http://science.psu.edu/news-and-events/2012-news/Cavener5-2012, The Examiner: http://www.examiner.com/article/protein-needed-for-behavioral-flexibility-identified, Medical News Today: http://www.medicalnewstoday.com/articles/245961.php, and a leading french daily. 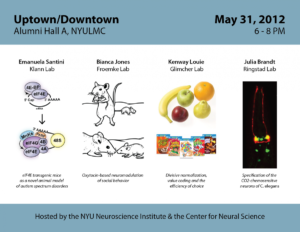 Emanuela speaks at the uptown/ downtown NYU neuroscience meeting. She has a lot of people impressed with her awesome data. 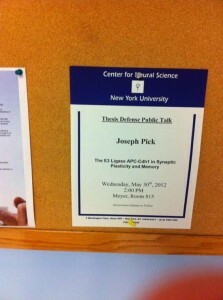 Joey submits defends his thesis. Awesome defence and congratulations Dr. Pick! Klann lab celebrates Joey’s defence. Tao speaks at the NYU Neuroscience retreat which is very well received. Nicely done Tao! Aditi and Eric’s preview on the new drug CTEP is published in Neuron. Neat! Klann lab welcomes new PhD students Kirsten Selert and Catherine Wood. Tao wins the best poster prize at the CBA research day at NYU Langone. The co-authors on the poster were Mimi, Doug Cavener and ofcourse, Eric. Hanoch’s paper on Erb4 signaling in Angelman Syndrome is accepted in Biological Psychiatry. Congratulations! Chuck and Helen’s paper relating to elevated S6K1 and mTOR is accepted in Genes, Brain and Behavior. Kudos! Itza’s LTD paper is accepted in Neurobiology of Disease. Congrats Itza! Klann lab meets for Christmas. Cozy conversations and the air full of holiday fun. Hanoch is leaving us to start his next adventure in Isreal. We will miss you and wish you good luck! Emanuela’s review on mTOR in health and disease is published online. Brava Ema! The Klann lab attended Neuroscience 2012 at Washington DC. Aditi gave an invited talk at MCCS satellite symposium. Well done! Hanoch’s paper on axon initial segment is accepted in Journal of Neuroscience. Congrats Hanoch! We bid adieu to Mimi. We will miss you! !